Marlin Steel frequently works with aerospace companies in the U.S. and overseas—largely because these companies trust Marlin’s dedication to providing durable, high-quality custom wire baskets that meet incredibly tight parts tolerances. However, one aerospace company recently came to Marlin after having worked with another custom wire basket maker. As it turns out, the frames for the other company’s baskets were working fine—but the wire mesh they used was too weak and would break after minimal use. The broken wires would curl up and scratch the client’s delicate parts or allow parts to fall through the basket. So, the client came to Marlin looking for a set of replacements that they could use without having to replace them again in just a couple of months. Why did the previous baskets fail? How could such failures be prevented in the future? 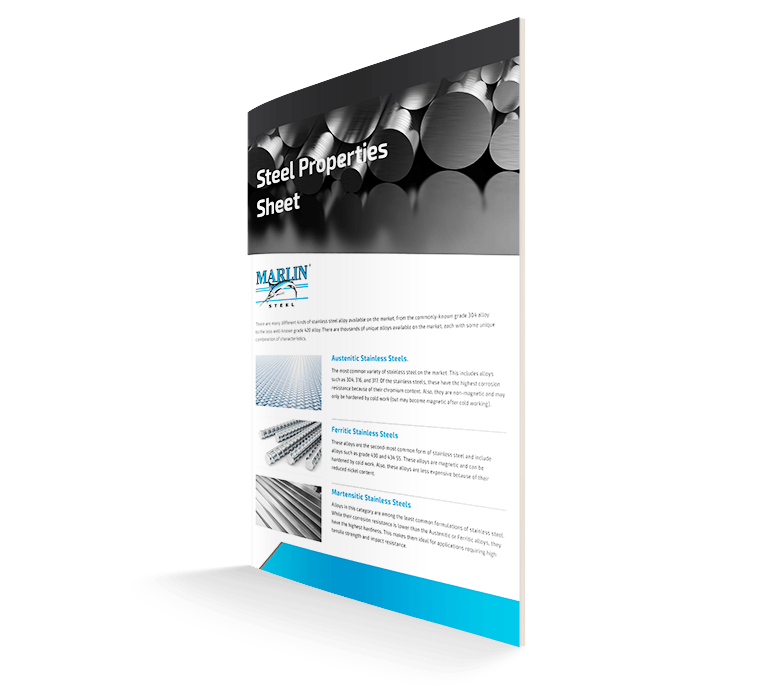 To answer these questions, Marlin’s engineering team needed to get a little info from the client about their manufacturing processes and environment. Then, they needed to use that data to program a finite element analysis (FEA) test. The FEA analysis program allows Marlin’s engineers to create a virtual simulation of the effects of specific manufacturing processes and environmental factors on an object. In Marlin’s case, the objects being tested are the custom wire baskets that Marlin makes. However, to simulate the client’s manufacturing process and environment accurately, Marlin’s engineers need to know what they are like. The client’s preferences for how the basket would be handled. This information would go a long way towards answering the question of “why did the previous baskets fail?” For example, the wires may have simply failed under the weight of the parts—or, the curling of the wires may have been caused by a chemical reaction. With a proper FEA analysis, these stress factors could be accounted for in the design so future baskets wouldn’t fail. One of the client’s preferences for their new baskets was that the new design should be easy to carry. So, Marlin’s engineering team decided to design wire basket with handles. This way, the client’s employees could easily grab and carry the wire mesh basket from one parts finishing machine to the next. It allowed the baskets to stack neatly by having the wires nestle together without getting in the way. This made the basket both easier to carry and to store. Also, because the bottom of one basket sat on top the next one down, the baskets could be stacked while fully loaded. However, this required the wires used for the frame of the basket to be made especially strong. Once Marlin’s engineering team completed the initial draft of the basket’s design, they put it through the FEA process to check whether it could withstand the client’s manufacturing process. In mere minutes the finite element analysis software broke the design down into thousands of unique components (i.e. “finite elements”) and simulated years of exposure to the client’s manufacturing process. Why use this software simulation instead of a real-world test? Because, the software could uncover problems in the design that would take months of use to reveal, while the physical prototype testing could not. If it takes a month of repeated heating and cooling to render the basket’s welds loose, a physical test that runs for a week is unlikely to uncover the problem. However, with FEA analysis the wire basket with handles could not only be checked for years of use, the software would generate a detailed report of why the basket design had failed. By using virtual physics software, Marlin’s engineers were able to design, test, and refine the basket until it was perfect in just a day or two. Normally, such thorough testing would take months or years to achieve the same level of refinement. Part of what the FEA test revealed was that the old wire basket simply had too much open space between the wires to handle the client’s unevenly distributed parts. The weight would all rest on one or two wires, causing them to bend easily since they had little to no support to distribute the stress. So, Marlin’s new wire basket with handles used a much tighter wire mesh with extra-thick support wires making up the frame beneath it. Because of this testing, Marlin’s engineers were able to create the perfect basket for the aerospace company’s needs without wasting time and materials on a physical prototype. 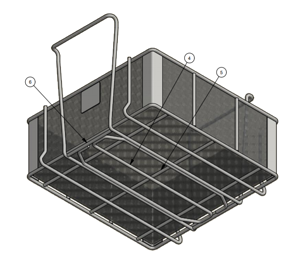 In fact, Marlin is frequently able to turn around custom basket design request like this one and have it ready to ship in less than two weeks—partly because of the FEA testing, and partly because of Marlin’s investments in factory automation, which make basket assembly incredibly fast and consistent. Need a custom stainless steel wire basket ASAP? Get in touch with Baltimore’s best wire basket manufacturer today to get started!